Peninsula resident Albro Lundy III, who has helped win billions of dollars for California consumers through energy lawsuits, has added the title Trial Attorney of the Year for his dogged work in an accident case that has improved the safety of state roadways. The case that would win Lundy the prestigious award from the Consumer Attorneys of California not only made the roadways safer, it greatly improved the future of a man close to Lundy’s heart. On its face, the case was an extremely difficult one. It centered on a single-car accident on the night of Jan. 16, 2006 in the high desert, at the T-intersection of Highway 62 and Highway 177 in a rural northeast corner of Riverside County. The plaintiff was 77-year-old Clete Schmidt, a lifelong friend who had been a surrogate father to Lundy in his youth. Schmidt was on his way to Lake Havasu when he was unable to see a stop sign in time to stop, crashing into a five-foot stony embankment just beyond the intersection and crushing his Ford Crown Victoria. He spent two months in intensive care, nearly died on several occasions, and emerged a ventilator-dependent quadriplegic with some arm movement. As attorneys examined the condition of the public roadway, the state claimed there were at least six signs indicating that there was a stop ahead on a relatively straight road. No other vehicles were involved, and the victim was a 77-year-old ex-attorney who lived in Palos Verdes. In light of the severity of injuries, the case would be intensely defended. The attorney and his partners at the firm of Baker, Burton & Lundy had just finished joint litigation on two energy pipeline conspiracy cases that brought California consumers nearly $4 billion in settlements, when Lundy told his partners he wanted to take Schmidt’s case. Lundy told his partners the costs could run several hundred thousand dollars, and he estimated there was a 5 percent chance of victory. In light of his 40-year relationship with Schmidt, he offered to run the case himself and spare his partners the risk. The partnership vote to take the case was unanimous and immediate. Lundy and his team made multiple trips to Caltrans archives in San Bernardino and Sacramento, and spent hundreds of hours at and around the scene of the accident looking for witnesses or evidence to demonstrate that the roadway was unsafe. A theory of liability began to develop. A longtime resident of Riverside County recalled that many years before, the roadway had contained “Botts Dots,” ceramic discs that warn drivers through vibration, which had been removed or destroyed. Then, after five days’ search in the San Bernardino Caltrans office and three more in Sacramento, a “needle in a haystack” was found in the form of photographs verifying that Botts Dots had existed at the approach to the intersection 30 years ago. Lundy said Caltrans knew the Botts Dots were an important warning system approaching a stop sign in the desert, and had even replaced them at least once in the 1990s. However, Caltrans did not maintain them and never replaced them subsequently in spite of pictures in their own files showing the deterioration. It was additionally discovered that a large double arrow “End of the Road” sign had been removed or lost, and not replaced. A further theory of liability was developed based on a berm cut into the road across from the stop, which eliminated a driver’s recovery zone. The evidence uncovered and the theories developed resulted in a jury verdict on liability of 90 percent to Caltrans and only 10 percent to Schmidt. The jury ordered Caltrans to pay $11.6 million to Schmidt and his wife Marlene. State officials later told Lundy that because of the jury verdict, Caltrans began inspecting all similar T-intersections in rural environments to make appropriate corrections. At the trial it was discovered that, except for one alcohol-related accident, seven other accidents over a 21-month period all involved drivers over the age of 50 whose response times required more warning on the high speed highway to come to a complete stop. Caltrans also revamped the safety precautions at the intersection where Schmidt was injured. Schmidt’s injuries left him in a precarious condition and the slightest thing, even a cold, is life threatening, Lundy said. The case was tried on an expedited basis in a converted school classroom before Judge Lillian Y. Lim, sitting by special assignment. During the trial’s 11th hour Lundy, facing medical complications of his own, enlisted the aid of noted attorney Gary A. Dordick as co-counsel. The attorneys alternated witnesses and shared opening and closing arguments. A particularly poignant moment occurred when Dordick was questioning Marlene Schmidt. Speaking of Clete’s penchant for giving, Dordick referred to Clete’s befriending of an 11-year-old boy who had lost his father in the Vietnam conflict. This young man had joined the Schmidt family on every vacation and had become part of the family. When Dordick asked Marlene who this young man was, she pointed across the courtroom and declared it was Albro Lundy. Gasps from the jurors were audible. Two months into the case, Lundy visited Schmidt in the intensive care unit at the Eisenhower Medical Center at Palm Springs. Lundy felt dizzy and thought he might have a minor concussion from a fall he had taken during a recent skiing vacation. As the symptoms grew progressively worse over the next week, he sought medical attention. Lundy was diagnosed with a vestibular schwannoma brain tumor, and he handled the Schmidt case while undergoing 30 straight days of radiation treatment. The effects of the potentially life threatening brain tumor and radiation treatment included dizziness, double vision and periodic debilitating headaches which sometimes lasted for days. Lundy brought Dordick into the case for extra assurance that Schmidt would have top-notch legal representation. Lundy also praised his firm’s litigation staff, Jeri Munn and Jenny Wood, and assisting attorney Norm Coe and Joe Barrett. The energy pipeline cases came about after gas prices spiked 16-fold at the California border at the turn of the decade. Energy companies blamed increased demand and a pipeline explosion, but Lundy and his partners didn’t buy the logic. Thus began a dogged legal pursuit that, years later, won consumers $3.7 million in settlements from large companies accused of illegally killing pipeline projects, artificially raising the price of natural gas coming into California, causing electricity prices to soar, and contributing to California’s energy crisis of 2000 and 2001. Lundy and his partners donated massive chunks of their fees from the settlements – as much as 25 percent – to charities including the Christian nonprofit Floresta/Plant with Purpose which works to reverse deforestation and poverty in the world. 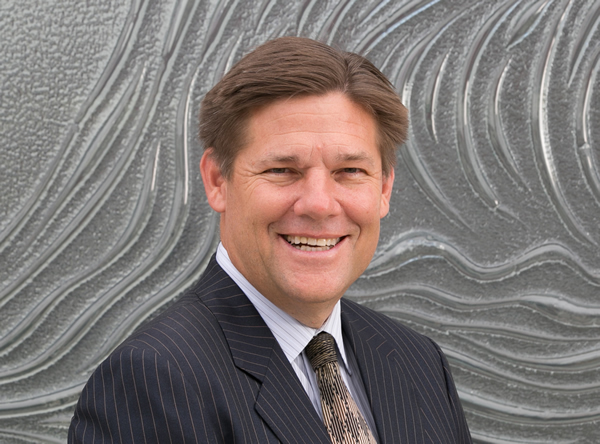 Lundy has been involved with Floresta since 1986 and has served on its board of directors for 10 years. He also serves as general counsel to the organization. Lundy has been a member of the St. Lawrence Martyr Parish in Redondo Beach and has served on its Parish council for four years, including a term as vice president. Albro and his wife Cathi have been giving Engagement Encounter weekends for the Catholic Church for 23 years, aiming to help preserve marriage as the cornerstone of strong families. They have given weekends to more than 4,000 couples. Lundy has donated blood since he was 16, and has topped a total of 115 pints. 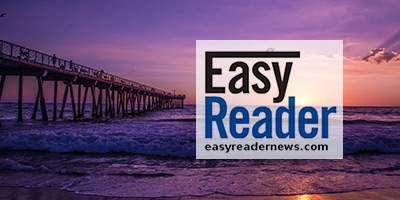 > Read the article on the Easy Reader website.